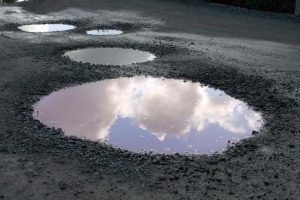 New data collated by the RAC has confirmed what every fleet driver will already be thinking; the spring of 2018 was a truly awful time for potholes. Many drivers will have suffered punctures or worse while on the highways of Britain this spring, and even those lucky enough to escape such damage will have been aware of the bumpy and potholed surfaces they have been driving over, or around. The RAC figures for the period between April and June this year showed that it had 4,091 call-outs resulting from mishaps caused by the poor road surfaces. The RAC Pothole Index confirmed how bad this was – the worst of any three-month period since 2015. Reflecting on this, the organisation said it was clear that councils are "not winning the battle" against potholes. Of course, it could be argued that there are mitigating circumstances. After all, usually by March the freezing weather is past, bar the odd cold snap in mountainous areas, and the month will see the weather gradually warming up. This year, however, the extraordinary cold temperatures and snow provided by the 'Beast from the East' meant the process of freeze-thaw that damages roads every winter had come back for an encore, causing further deterioration. Summing up the situation, RAC chief engineer David Bizley said: "Our roads are still in a poor state of repair after the damage caused by ‘The Beast from the East’ and the generally harsh late winter conditions the country experienced. "Councils have been working hard to fix potholes and general road surface degradation, but despite further emergency funding from central government, their budgets are even more stretched than in previous years." The result was more dangers to the safety of motorists, motorbikers and cyclists, he noted. It is not all about the Beast from the East, however. In April the RAC said the Pothole Index had revealed the standard of roads had deteriorated for four successive quarters. Ellie Baker, brand manager at Fuel Card Services, commented: "The high number of potholes may have been increased by the Beast from the East, but that is not the whole story. It appears there has been an underlying trend for roads to get worse stretching back over a year."